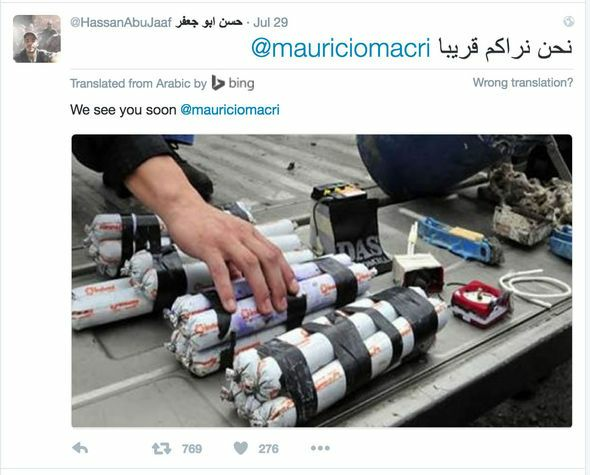 The HuffPo and Express articles show a number of tweets sent by a user named Hassan Abdullah Jaaf threatening Macri and the country’s Jewish population. Last week RT (link in Spanish) reported that the country’s Security Minister declared Argentinians trained by ISIS have been in the Syrian or Iraqi hot zones, and have travelled back and forth to either Argentina some of the neighboring countries, such as Uruguay. As of the writing of this post, I could not find an update on the status of “Hassan Abdullah Jaaf” or the other, unnamed 21 year old arrested in July. So the question remains, were the tweets a trial balloon, to see if the authorities are paying attention? Leftists typically love Islam and hate Christianity and Judaism. We will see if the leftists in Latin America are as stupid as the ones elsewhere when heads start to roll and the Virgin Mary’s statures get torn down.